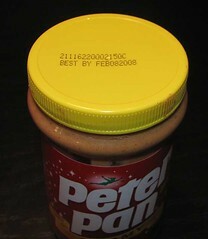 I read about a peanut butter recall today and checked the cupboard. Sure enough I have some of the toxic spread! It’s nice to be a part of something finally. Hey me too. That was close! Agree peanut butter is toxic! If you have tonsilities & sore throats then don’t eat peanut butter! Anyway haven’t seen this brand in Malaysia!